I’m always amused when I see shows about celebrities and their everyday lives. Are they what I imagine them to be when they’re not performing? 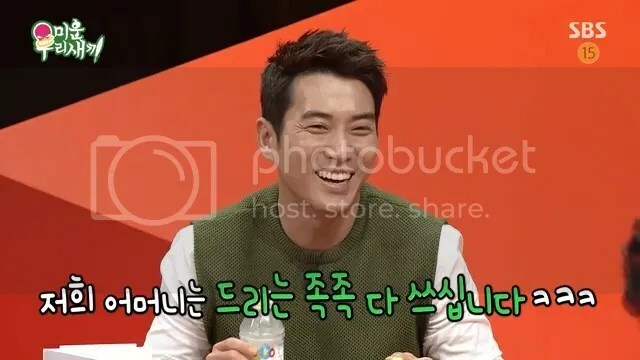 Most recently, Actor Joo Sang Wook hosted Our Ugly Duckling which was filmed before his marriage to Actress Cha Ye Ryun. 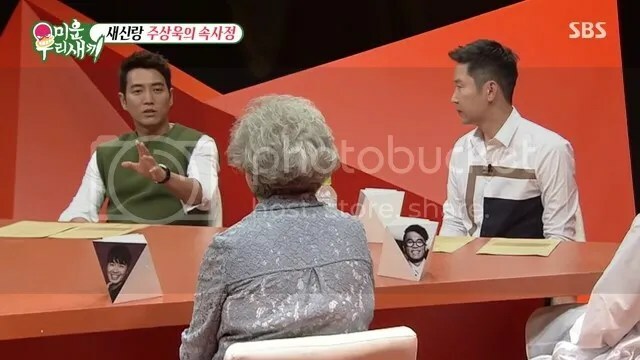 It was interesting to see how Joo Sang Wook relayed that his own mother is very tough like Kim Gun Mo’s mom. He’s the middle child with an older and younger sister and he admitted that he wasn’t very good at school like his sisters were. 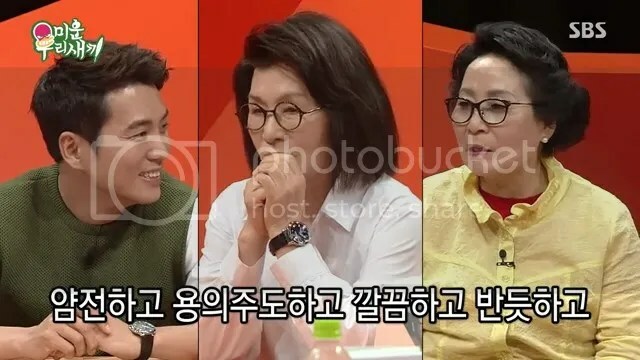 He says that although he gave his mom grief when he was younger, he now is good at giving his mom plenty of allowance now which garnered a lot of laughter from the moms.